Wege Sinyangwe is the missionary pastor of Chimasulo Baptist Church in Chilanga District just south of Lusaka, Zambia. His latest update has encouraging news about chidren's ministry, but also tells of the tragic deaths of two men who attended their Bible studies. During my first week in Zambia, I witnessed a similar tragedy in the same area. Crossing that very busy highway at night is extremely dangerous. "In terms of church ministries, when it comes to having bigger events such as concerted evangelism, we join hands with our mother church and do the work as one. Every year our mother church has on its calendar an activity for children called Holiday Bible Week (HBW). The activity is designed to reach out to children in the community of Chilanga District with the Gospel of our Lord Jesus Christ while they are on their April school holidays. We teach the Gospel to them, provide food, and have games during the three days we are with them. This year it was held the last week of April, and the theme was “The Good News”. We had three main pickup points for children from Chimasulo (our church’s area) – Freedom and Linda compounds, and Lilayi (Jambo Farm). We had a daily average of twenty children from each pick up point. On the last day of the meeting we had about 250 children from all over Chilanga District! Though the fruit regarding HBW may not be seen today, the seed does get planted in the children, as I have noticed from some of the children (including my own) and the parents I have interacted with. 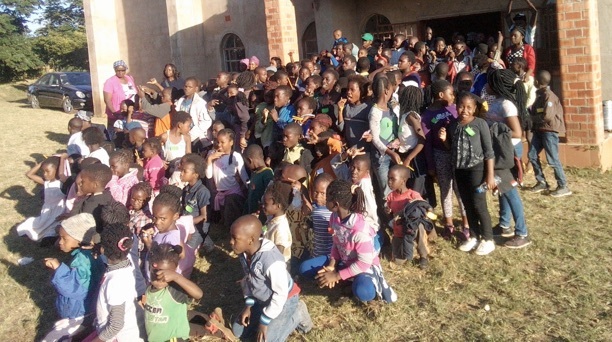 As we were excited with what God was doing among the children after Holiday Bible Week, we received shocking news around midnight on 29 April. The tragic message was that one of the women who was actively assisting in preparing food for children during the HBW had just lost her husband. He and his friend were trying to cross Kafue Road in Freedom compound when they were bashed by a van and both died on the spot. They were both active at the Lilayi Bible Study group at Jambo Farm and had been to our church many times. Sadly, at the time of their death, to the best of my knowledge, they had not come to the saving knowledge of our Lord Jesus Christ. Please pray for their surviving families.